Turn Right on Garden St towards the Harvard Square/Common, proceed 0.4 miles. Keeping a car in Cambridge can be frustrating, expensive, and actually not altogether necessary as public transportation is available to almost anywhere you may wish to go. Public transportation and taxi services are therefore highly recommended. However, if you do have a car with you, please be advised that most on-street parking in Cambridge requires a Cambridge parking permit, which means that you must be a resident of Cambridge and that your car must be registered in Cambridge. There is no available parking at 60 Garden Street. 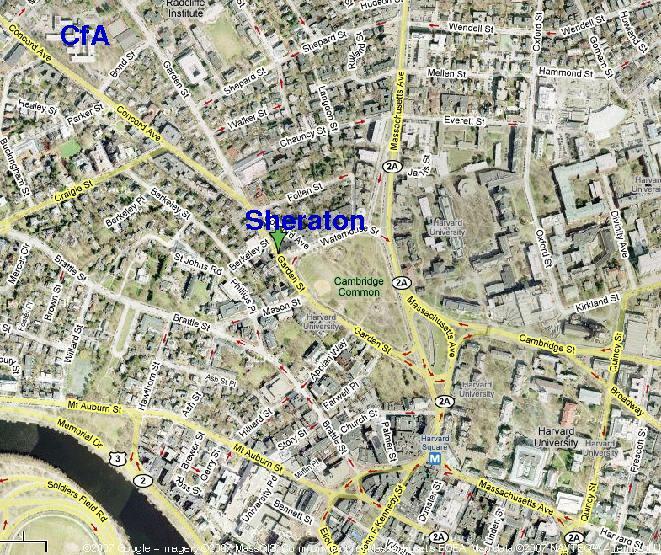 However, the Sheraton Commander has on-site parking available for its guests.